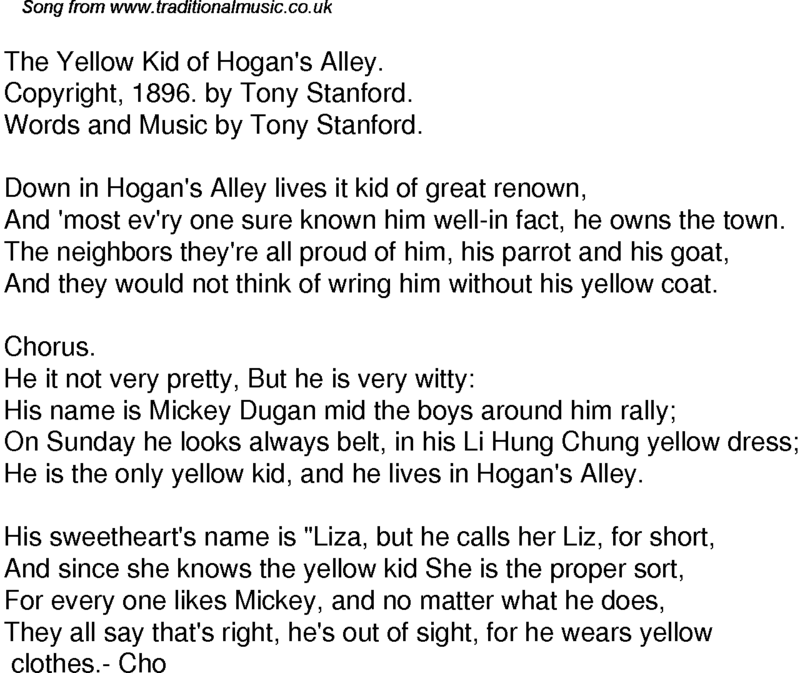 The Yellow Kid of Hogan's Alley. Copyright, 1896. by Tony Stanford. Words and Music by Tony Stanford. And 'most ev'ry one sure known him well-in fact, he owns the town. And they would not think of wring him without his yellow coat. He is the only yellow kid, and he lives in Hogan's Alley.